Dr. Janicke has broad research interests in pediatric psychology, most notably improving self-management to, and coping with, acute and chronic health conditions. His main area of interest is translational research intended to promote the dissemination of obesity interventions for individuals in community settings, with a primary focus on children. 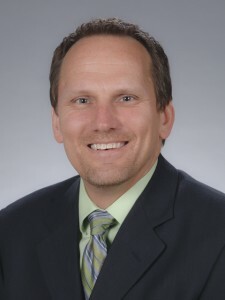 Unique aspects of his work include comparing family-based vs. parent-only interventions and using of phone –counseling and mHealth technologies to expand the reach of these interventions. His students have produced dissertation research in a variety of pediatric-focused areas including obesity, type 1 diabetes, sleep, inflammatory bowel disease, and oncology. His teams are using virtual human technology to examine the impact of provider weight bias in health care decision making. Dr. Janicke’s clinical efforts center on assessment and treatment of pediatric-related health conditions and adjustment to such conditions. These include assessment and treatment of pediatric feeding aversion, encopresis and enuresis, pain, sleep, obesity, and psychosocial interventions addressing treatment regimen adherence and psychosocial adjustment in children and adolescents with acute and chronic health conditions. He also has expertise in behavior management of disruptive behavior disorders in young children. My trainees and I have been members of various interdisciplinary clinics across the Health Science Center including the Feeding Aversion Clinic, the Inflammatory Bowel Disease Clinic, and Pediatric Sleep Clinic, and the Pediatric Type 1 Diabetes Clinic. Janicke, D.M., Sallinen, B.J., Perri, M.G., Lutes, L.D., Silverstein, J.H., Huerta, M., & Brumback, B. (2008). Comparison of Parent-Only versus Family-Based Interventions for Overweight Children in Underserved Rural Settings: Outcomes from Project STORY. Archives of Pediatrics and Adolescent Medicine, 162, 1119-1125. Janicke, D.M., Harman, J., Jamoom, E., Simon, S., Zhang, J., & Dumont-Driscoll, M. (2010). The Relationships Among Child Weight Status, Psychosocial Functioning, and Pediatric Health Care Expenditures in a Medicaid Population. Journal of Pediatric Psychology, 35 883-891. Janicke, D.M., Steele, R.F., Gayes, L.A., Lim, C.S., Clifford, L.M., Schneider, E.M., Carmody, J.K., & Westen, S. (2014). Systematic Review and Meta-Analysis of Comprehensive Behavioral Family Lifestyle Interventions Addressing Pediatric Obesity. Journal of Pediatric Psychology, 39, 809-825. Lemas, DJ, Cardel, M., Filipp, SL, Hall, J, Essner, RZ, Smith, SR, Nadglowski, J., Donahoo, WT, Cooper-DeHoff, RM, Nelson, DR, Hogan, WR, Shenkman, EA, Gurka, MJ, & Jancke, DM. (2018). Objectively Measured Pediatric Obesity Prevalence Using the OneFlorida Clinical Research Consortium. Obesity Research and Clinical Practice – Advanced Access. Mayer-Brown, S., Basch, M., Robinson, M.E. & Janicke, DM. (2018). Impact of Child and Maternal Weight on Healthcare Trainee Clinical Assessment Decision Making: A Virtual Human Study. Childhood Obesity – Advanced Access.